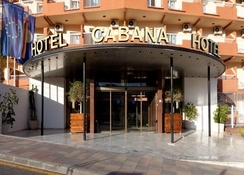 The Cabana Hotel is a family-friendly luxury hotel located in a quiet residential area, away from the busy districts and hustle and bustle of Benidorm. Brightly painted and richly furnished rooms with all modern amenities and sleeping up to four guests promise a comfortable stay that just feels like home. Featuring an outdoor pool and a lovely terrace furnished with sun chairs and parasols, a delightful buffet restaurant, the hotel invites guests to enjoy a quiet getaway with warm hospitality. 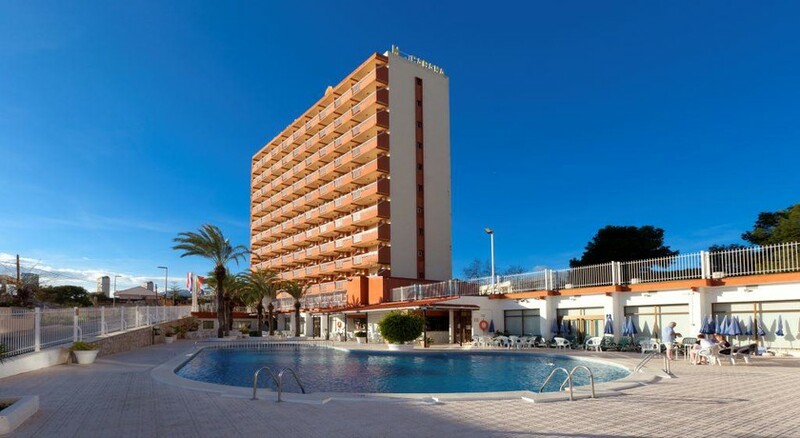 If you are looking to retreat for rest, sun and beach in pretty Benidorm, this is probably the best choice of accommodation with all attractions a short drive away. 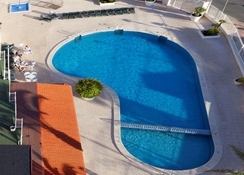 The property is situated in Benidorm, in a quiet neighbourhood just 700m from the ​​Poniente Beach. The Old Town is barely 20 minutes’ walk. The Aiguera Park is 1.2km away. Terra Mitica Theme Park a fun activity centre for all members of the family, is about 6km away. The Alicante Airport is 56km from the hotel. The brightly painted guestrooms at the Cabana Hotel are all exterior-facing and many of them boast private balconies from where guests can enjoy magnificent views of the sea and the surroundings. The spacious and bright double rooms combine plenty of space for couples and families and come with attentive service. Each of the units have a bedroom, bathroom with bathtub, terrace with table, work-desk, direct dial telephone, safe and satellite TV. The rooms come in categories like Standard Double and Quadraple rooms. Guests can enjoy breakfast in the Cabana Hotel’s self-service restaurant, where expert cooks serve up an array of international dishes. The hotel also has a pub. After meals, head to the large terrace area for a relaxing cocktail from the bar. The Cabana Hotel has a swimming pool and sun terrace where guests could have a splash-tastic time. Games like pool and golf can be played at extra charge. Kids will love their pool a playground to spend time in. During the summer the hotel organizes an entertainment program for kids. An entertainment team arranges live music and dancing every evening. Guests can also relax in comfortable sofas watching their favourite shows at the TV lounge. Free wireless internet is available in public areas. Breakfast, Lunch & Dinner - at restaurant opening times-. Wine, beer, water and soft drinks are included at lunch and dinner time. Just as expected, cheap and cheerful, went with 3 other girls for a 3 night fun weekend in Benidorm, nice walk from the hotel to the beach or short taxi ride. Breakfast wasn't great, tasted like very cheap food, we ate out for our breakfast after trying it. They did bring me some gluten free toast so i was very pleased with that. pool nice and bar OK Avoid cocktails, they don't know how to make them, i had a mojito and they put dried mint in it, wasn't good. would go back again for a short stay. The Hotel was just what I had expected. It was clean but basic. The food was ok and there was plenty of it. I found the people on Reception friendly and helpful. The entertainment was terrible. I am Scottish and to me it appeared the hotel is totally geared up for elderly Spanish couples, nothing wrong with that just saying.